There are many different health insurance plans out there – it seems there are as many plans as there are people in Washington! There are also lots of questions about insurance. While there is not one answer that will fit everybody, perhaps this can provide some basic information. Massage therapy is not covered by all insurance plans. While a large number of plans do provide coverage for it, it is lumped into a category called “Out Patient Rehab” services. This means that while you have massage therapy services, you also have speech, cardiology, naturopath and chiropractic services – and they all share this large umbrella. Therefore, if you have 16 visits of this type allowed per year, all of the services under this umbrella count toward those 16 visits. 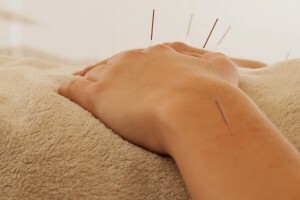 Acupuncture is usually covered separately. Explanation of Benefits: Every time you use your health insurance, your insurance company will send you one of these. It is important to go over it to ensure that you understand how your benefits are being used. While these are not bills or statements (as they say they’re not right on the top! ), they will show you when a service gets applied to your deductible – which gives you a heads up that you’ll soon be receiving a bill from Dreamclinic that you’ll be needing to pay. Premium – what you pay each year or each month to your insurance company for your health insurance policy. Provider – physician or other person who provides your medical care and creates your prescriptions. Network -a group of providers that work with a specific insurance carrier. Benefits – covered medical services to which you are entitled from providers in your network. Out of Network Benefits –some plans allow medical services to be performed by providers not in your network. Deductibles and co-payments/co-insurance are usually higher for out-of-network benefits. Deductible – the amount of money you must pay every year to providers before the insurance company will begin paying for medical expenses – not the same as your premium or co-payments/co-insurance. Co-payment – a specific amount of money you must pay on each visit to Dreamclinic. Coinsurance – the amount of money you must pay on each visit to Dreamclinic, based on a percentage of the total bill. One thing to remember – you are the manager of your plan and your benefits. Dreamclinic staff will bill claims, and provide information about your visits. You are ultimately the person responsible for tracking your use and your payments. Call the Customer Service Representatives at your health insurance company. They can explain EOB’s (Explanation of Benefits), what your plan covers, what your deductible is and much more. That is why they are there!